Home QR Codes Are QR Codes Dead- Are QR Codes Still Relevant Today? Today, it is always important to evaluate your options when moving your business forward. QR codes were first created about twenty years ago. However, it is only recently that these codes started being used for business. These codes have become hard to ignore since they are found almost everywhere you look. More than half of the world’s population uses smartphones and other smart devices. With these numbers, it is almost impossible to believe that only about 15% of smart device owners use their devices to scan QR codes. So, are QR codes dead? With such low numbers, there are several reasons that have led to the decline in the use of QR codes. These days, QR codes are being for all sorts of purposes especially by businesses. As a matter of fact, there is a website solely created to display some of the most absurd uses of QR codes. In order for QR codes to work effectively and for them to be adopted as a mainstream marketing strategy, they need to be used in the right ways. Businesses need to focus on effective ways of using QR codes to reach their target markets. It is also important to consider what you want the QR code to link your audience to. It should point to helpful and mobile friendly content. While QR codes look like simple concepts, most smartphone owners do not know how to use them. It is important for business owners who use QR codes to take the time and find a way of educating users on the benefits of using QR codes, and also to teach them how to use these codes. 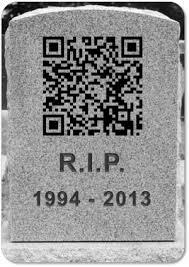 Are QR codes dead? These codes are not yet dead; they are simply not being used as they should. With a proper tutorial on the codes, they can be the next big thing in business marketing.